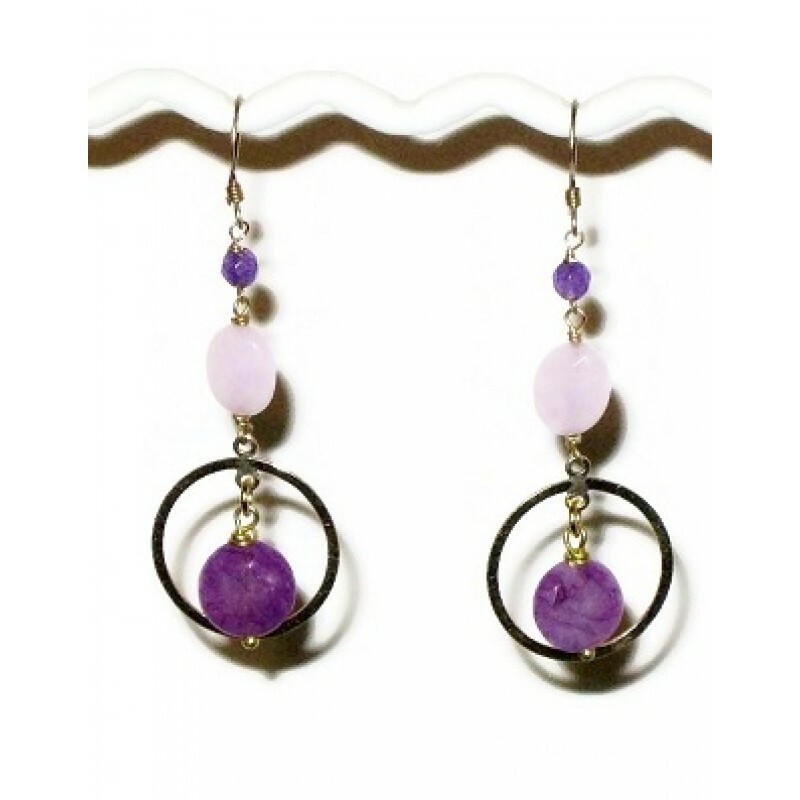 These lilac and deep purple earrings are highlighted with 14k gold-filled components which are accented with faceted and smooth jade beads. They hang on 14k gold-filled earwires and the entire length of the earrings is approximately 2 3/8 inches. You can pair these earrings with your favorite gold chain to add a pop of color. They feature a hear..
Picture how stylish you can look wearing this purple statement necklace that features a agate oval.. This purple necklace measures approximately 30 inches with its silvertone lobster claw clasp. ..